Pubs have been ever present in British culture for as long as anyone could care to remember. Over the years they have been through many transformations, mostly for the worse, and traditional pubs have been under threat for some time. The surge of the pub chains and sports lead monstrosities of recent decades all but destroyed the community focussed boozer; but there is hope. Micropubs have been popping up all over the country with one goal in mind, to save the classic pub spirit. The Micropub movement started in Kent back in 2005 with The Butcher’s Arms in Herne. Micropubs are small “pubs” that open in derelict shops and are dedicated to serving real ales, cider, wine and selected drinks. They do not serve any mainstream brands, there is no music or electronic devices and there is no hot food. These are places to come for a drink and to chat with friends or whoever else is in there. These community pubs have become so popular there are now around 400 across the UK, and are bucking the trend in the business by growing in number each year. The Micropub movement has made it down to the south coast, with some fabulous results. 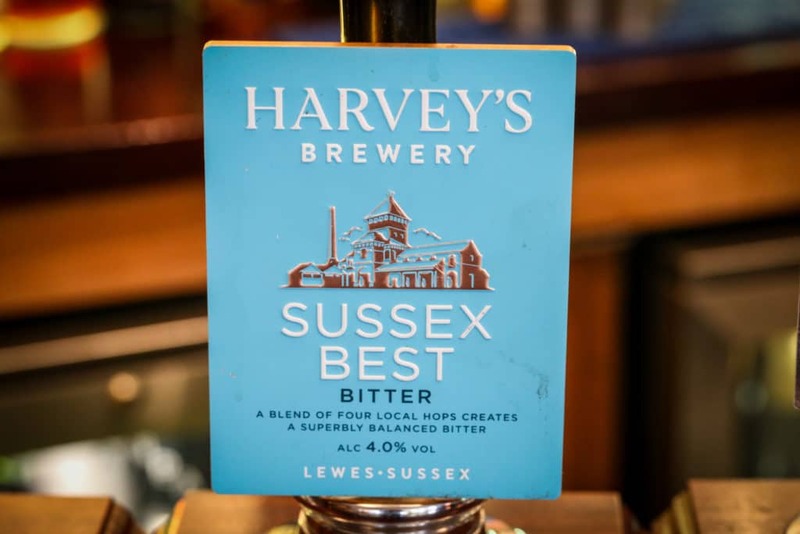 Stretching from Durrington to Hove you can embark on the “Southern Ale Trail” taking in the best micropubs that Sussex has to offer. 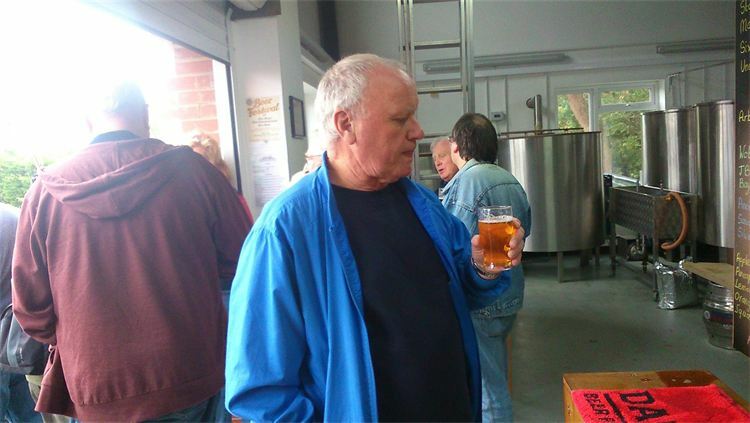 If you are new to the concept, or a seasoned micropub goer, the ale trail is a great day out. Intrigued? Of course you are. Read on to plan your trip and join the micropub revolution. As this is Restaurants Brighton, we are going to kick things off here and work our way back toward home. The Georgi Fin is the latest addition to the Sussex micropub family, having opened in the Spring of 2017. Owners Craig and Helene have created a gorgeous space with exposed brick and lovely warm wood flooring throughout. Situated on the Goring Road, you will not find a better place to enjoy a real ale in the locality. Despite being new kids on the block the pub has proven to be a big hit with locals, and weekends can get very busy. With a menu of 4 ever-changing real ales, wine, cider and bottled beers you have plenty to choose from, but don’t get too carried away as this is just the first stop on the trail. Just a short walk away, and just up from West Worthing station, is our second stop. The Green Man is a micropub that is very much in keeping with the original blueprint. This small and intimate space is a celebration of all things ale and cider (with a few other drinks available). Owner Les is always on hand to welcome you and have a chat about what he is pouring, giving recommendations as required. The Green Man is a cosy and intimate micro where you will inevitably end up chatting with your fellow patrons. There are always at least 4 ales on and 6 ciders from local and national producers. Les is a very knowledgeable and charming host, who’s passion for his business is undeniable..
Have a chat and enjoy some superb ales before moving along. The Brooksteed was established in 2014 under the ownership of Nick and Paula Little and during that time they won CAMRA Surrey and Sussex pub of the year in 2016. The pub is now operated by Aaron Burns and John Azzopardi who have built upon the Brooksteed’s foundations to create a truly memorable micropub. Everything from the vintage décor to the perfectly kept ales will keep you coming back for more. 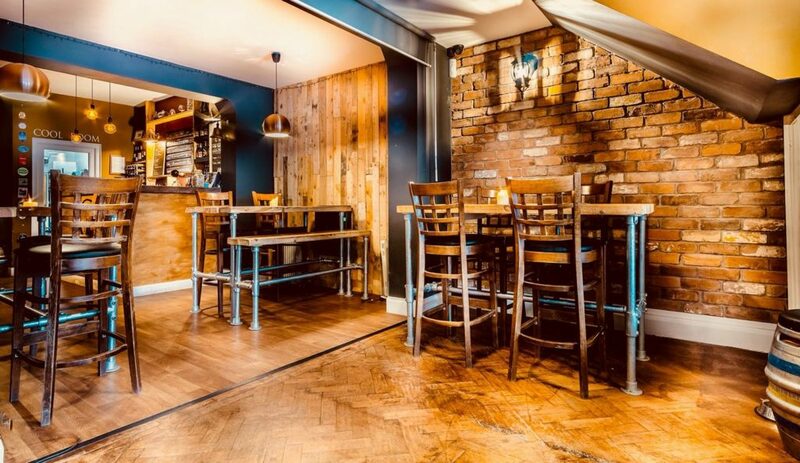 The range of drinks on offer is extensive; including 4 real ales, 2 keg beers, 5 ciders, wine, gin and around 40 bottled and canned beers from around the globe. The Brooksteed is just a minutes’ walk from Worthing station, and is popular with locals and commuters alike making for a mixed and vibrant crowd. With regular events and festivals there is always something going on at The Brooksteed. 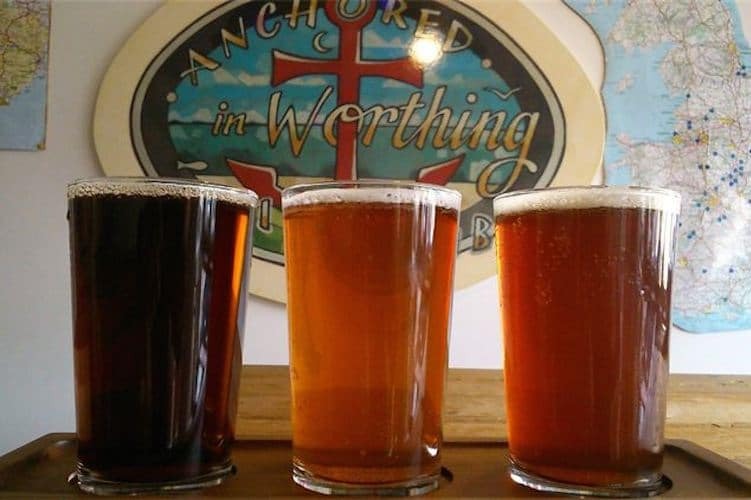 Anchored is the original Worthing micropub and winner of Sussex and Surrey CAMRA pub of the year 2017. Anchored is owned by Nigel Watson who runs it with his partner Debbie. You will be hard pressed to find a more knowledgeable landlord than Nigel, and his passion for Sussex produce is reflected in Anchored’s offering. Stocking only Sussex ales and ciders, Anchored is a celebration of the fantastic breweries in the area; and with over 50 to choose from Nigel is not limited in his options. 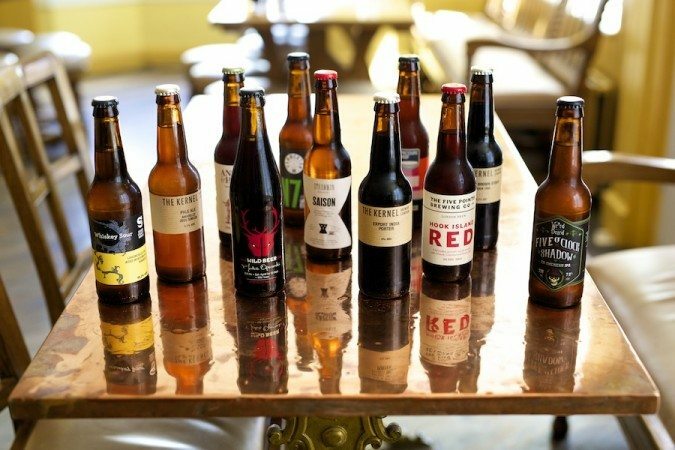 A rotating menu of three real ales and ciders is complimented by further bottled beers, ciders and wine. Anchored is a real community pub, on any visit you will find yourself chatting to all manner of people. They also arrange regular trips to breweries and host quizzes to raise money for local charities. A real ale experience, Anchored is the definition of a traditional micropub. Jump on the 700 or walk back up to the station and head to your next stop in Shoreham. The Old Star is another micro that is in a similar vein to Anchored. 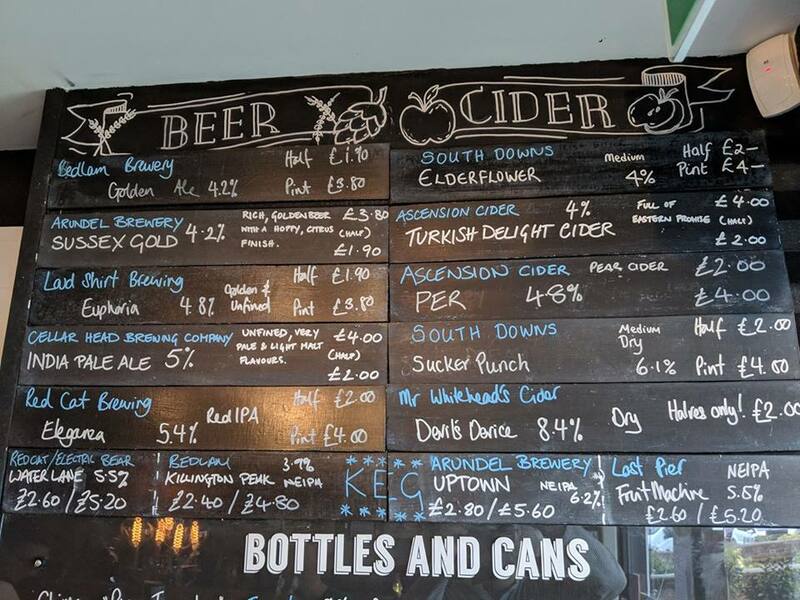 They feature mainly Sussex ales, but also others from around the country, alongside an amazing choice of ciders; including their house special whisky cask cider from Scotland. The Old Star is run by Richard who took over the pub in 2015, and it occupies a building that was once part of the Star Inn which closed 100 years ago. There is an intimate and convivial atmosphere at The Old Star, making for a bubbly and fun atmosphere. With up to 5 real ales on offer at weekends, you will be spoilt for choice, but don’t get too comfortable as there is one more micropub to go. Hop on the train from Shoreham to Hove to experience the final stop on the real ale trail. The Watchmakers Arms is just a short walk from Hove station, and is Brighton and Hove’s only micropub. The pub opened in 2015 and is the realisation of a dream for owners Ruth, Rick, Dave and Ali. They fell in love with the micropub style on a visit to Whitstable, and after finding the right premises they left their secure jobs to give this life a try. The pub has a lovely warm feel, with wood throughout, and is a comfortable place to spend an evening. With a range of cask ales, keg beers, cider and wine on offer there is always something interesting to tuck into. The Watchmakers also have their own on-site brewery out back, in collaboration with local brewer Jack Tavaré. A fitting place to end your day, The Watchmakers ticks all the micropub boxes and then some.